If your child or teen is experiencing the loss of someone close to them, someone they love, their not alone. But, their grief is unique in that it often involves the loss of someone who helped form their fragile self-identities. This experience produces feelings that may very well become part of the remainder of their lives. The loss experience also creates the opportunity for children and teens to learn the reality of loving someone; the joy and pain associated with caring deeply for someone else. As adults we hate to witness pain in our children. Consequently, parents are tempted to hurry their child through the grieving process. Parents should generally resist this temptation and allow their child to fully experience the process of mourning, as painful as that experience might seem. We are doing them a disservice when we simply tell our kids they have to “be strong” and “carry on”. Letting our kids know that it’s alright to feel sad and experience the typical emotions associated with grief and loss is very important. Equally important is letting them know these feeling won’t last forever. That doesn’t mean they have to forget the person or abandon the love they had for them in life.Because young people are generally quite resilient, so long as they have the proper support from their parents and friends, they usually emerge from their mourning experience in a healthy way. Sometime though, kids run into difficulty in processing the death of a loved one. 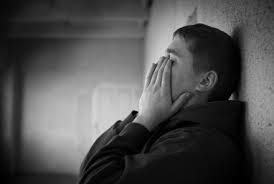 Such difficulty shows itself in the form of chronic depression, sleeping difficulties, restlessness and low self-esteem. Sometimes a child or teen struggling with the loss of a loved one has problems with school or relationships with family and friends. Other children or teens having difficulty working through the loss will engage in risk-taking behaviors such as drug or alcohol use, fighting, and sexual experimentation. They might even enter into a denial of their pain and act overly strong or mature. Like many other life experiences, grief is a difficult process for kids to go through. It’s not unusual for siblings who experience the same loss to display and process their grief in radically different ways. In most circumstances, parents’ love, understanding and support will carry their child or teen through the loss of someone they cared for deeply. In some other cases, a child or teen will benefit from the additional support of a trained professional. If you have questions concerning how your child or teen is progressing through their process of grieving, please speak to your family physician or a counselor who is experienced in helping young people through their loss.